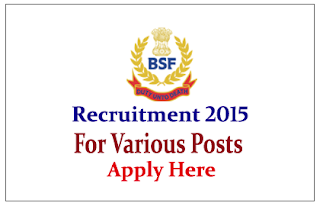 BSF is recruiting for the post of Sub-Inspector, Non-Gazetted, Non Ministerial, Engineering (Civil) 2015. 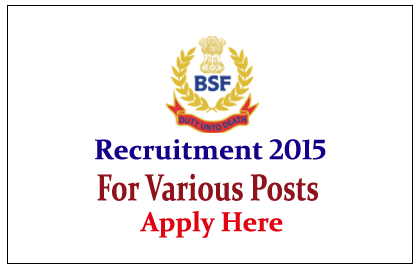 Interested and Eligible candidate can apply here on or before 24th June 2015. Eligible candidates can send filled application on or before 24.06.2015, For more details kindly check official Notification. State wise Postal address is given in Official Notification, Kindly check company websites time to time for further updates.